Free devil cartoon. Vector of an evil character. Smiling demon with big head, pointy ears, curved horns and tight black clothes decorated with flames on the chest. Devil character holding a trident. 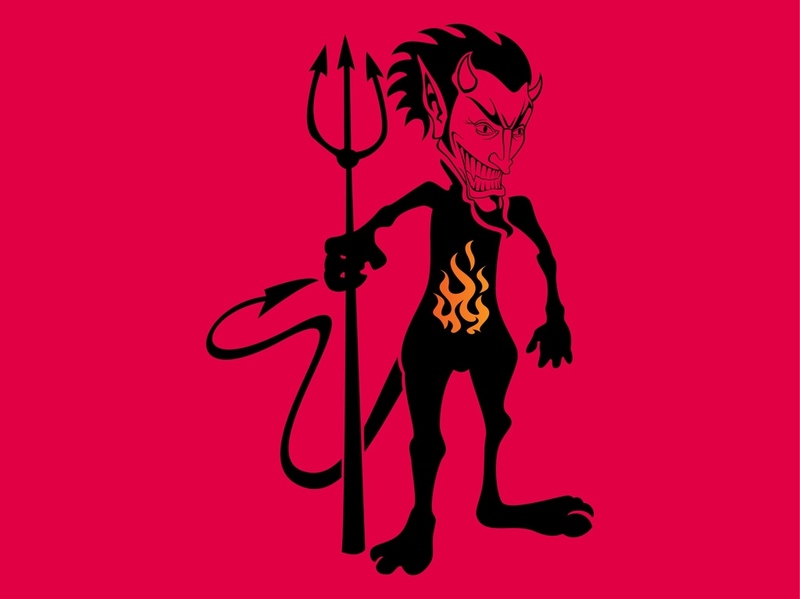 Free vector image for hell, evil, demons, devil, death and religion designs. Laughing demon for T-shirt prints and posters. Tags: Cartoon, Character, Devil, Evil, Fire, Hell, Horns, Laugh, Smile, Trident.